If you have a big family or just want a decorative way to break up your living room, sectionals are the way to go. At Kimbrell’s home furniture store in the Carolinas, we feature a selection of contemporary and classic sections for any living room. At the end of the day, the living room is about comfort and unity — but that doesn’t mean you want to sacrifice design. 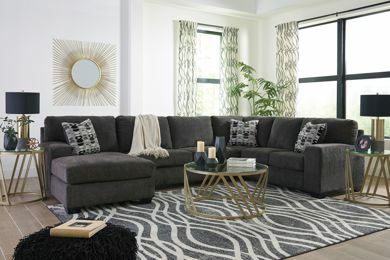 Get the best of each world with our selection of practical yet elegant sectionals for the living room. We hope to see you soon at a Kimbrell’s home furniture store near you.